"This recipe was really yummy to start with but I was looking for something a little healthier so I replaced some butter with non-fat yogurt and I eliminated the salt. It is super moist and tastes great." Bake in preheated oven until a toothpick inserted into center of loaf comes out clean, 60 to 65 minutes. Let bread cool in pan for 10 minutes, then turn out onto wire rack to cool completely. 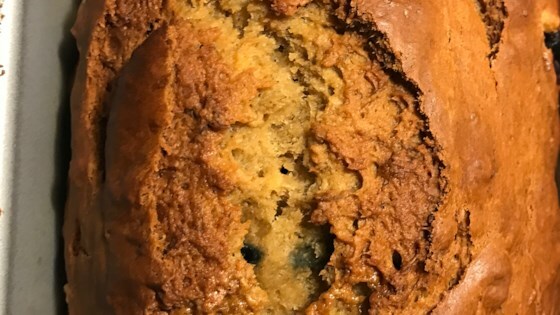 Go bananas over this super moist and dense cakey snacking bread. This recipe is the healthier version of Banana Banana Bread. This was really good. After 50 minutes though it was done, I add crushed walnuts and a little extra yogurt. Delicious. I like my banana bread more moist, not sure if it was me or the recipe.